This weekend is known as the start to holiday shopping. What may be less known is that Ford also expects foot and screen traffic to increase as customers research new auto purchases online and service their current vehicles at dealers across the country. Ford expects this holiday weekend to be particularly busy for dealer websites. In 2012, Ford's total online leads jumped 17 percent on "Black Friday" compared to a typical Friday in November. F-150 leads alone jumped 22 percent that day. "Ford embraced digital dealer opportunities early and today is uniquely positioned to turn online interest into a dealer visit – whether it's to purchase a vehicle, or for service or maintenance," said Ron Merbler, digital manager, Ford enterprise digital solutions. "Accessing content via mobile screens is key to how Americans buy vehicles now, and the Thanksgiving shopping weekend provides an opportunity for us to engage them while they're already shopping. "You may think of it as gift-shopping season, but it also is the perfect time for all facets of our business to come together for our dealers and the company as a whole," added Merbler. Ford pioneered a digital dealer strategy in 2000 and has seen online sales leads increase significantly the past few years. Online sales now make up nearly one quarter of Ford's total retail sales. FordDirect – a first-of-its-kind joint venture between Ford Motor Company and its dealers – helps dealers digitally connect to consumers, and has grown to offer a variety of digital tools such as website development, traffic generation, social media management and consumer marketing services. Almost every Ford dealership uses FordDirect services, such as mobile and desktop website solutions, digital advertising, new and pre-owned vehicle marketing services, and social media and reputation management. The extended Thanksgiving holiday week also is expected to see an increase in dealership service visits nationwide. Last year, "Black Friday" was Ford's No. 1 day for tire sales – nearly double the next leading day of the year. The process of buying a vehicle today is dramatically different from what it was even 10 years ago, with consumers turning online to research before they buy. According to Google Trends, Ford F-Series is the most-searched vehicle on Google this November, and has been in the top 10 the last 118 months. 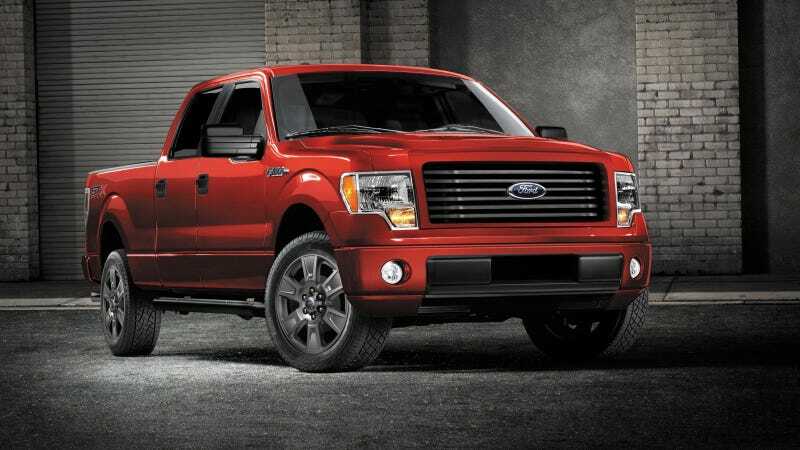 Eric Peterson, F-150 marketing manager, said Ford's targeted truck customers research vehicles about 30 percent more than average shoppers, and are engaged more in discussions on message boards and forums. "These customers gear more of their digital lives to work – which includes trucks as key tools – as they are twice as likely as others to own two or more smartphones and three times as likely to use them for work," said Peterson. When Rich Savino, principal of All American Ford in Old Bridge, N.J., first opened his dealership, he used digital marketing to establish his local identity and drive customers to his store, which was in a more remote location. Even though his dealership is now located in a higher-traffic area in Hackensack, Savino remains focused on digital marketing. "Buying a car is largely an in-person transaction by necessity. But I can use digital marketing to reach customers online during major shopping occasions like 'Black Friday' and 'Cyber Monday'," said Savino. "I use a variety of tools including coupons, direct email deals and website coupons. It puts visiting my dealership into consideration for consumers when they're already in a shopping mindset." FordDirect's services include identifying customers potentially in the market for a vehicle or service for promotional offers or follow-up calls for service appointments. For example, previous targeted one-to-one marketing campaigns, such as the one planned for Thanksgiving weekend, have yielded a 20 percent to 30 percent increase in sales and service. These campaigns also integrate Ford's national campaigns to the dealership level by posting on behalf of the dealer on social media channels and adding assets and banners on all dealership websites. Like many retailers, Ford got a jump on holiday advertising this week to promote vehicle and tire sales deals. And the campaign will extend through the first week of December because of the longer-term car-buying process. Ford is significantly increasing its focus on attracting online shoppers as digital holiday advertising has more than doubled to 50 percent of the mix since 2011. "Ford has been ahead of the curve on digital advertising, and has been able to break through the clutter with fun content delivered to where customers are at any given moment," said Dave Finnegan, retail communications manager, Ford marketing communications. "We expect to do well again this holiday season even though there are so many companies vying for attention."